Pre-K Studio is a class offered for the valley's youngest artists. Thanks to donations and grants we are able to offer this class totally free with a suggested donation to cover the cost of supplies. 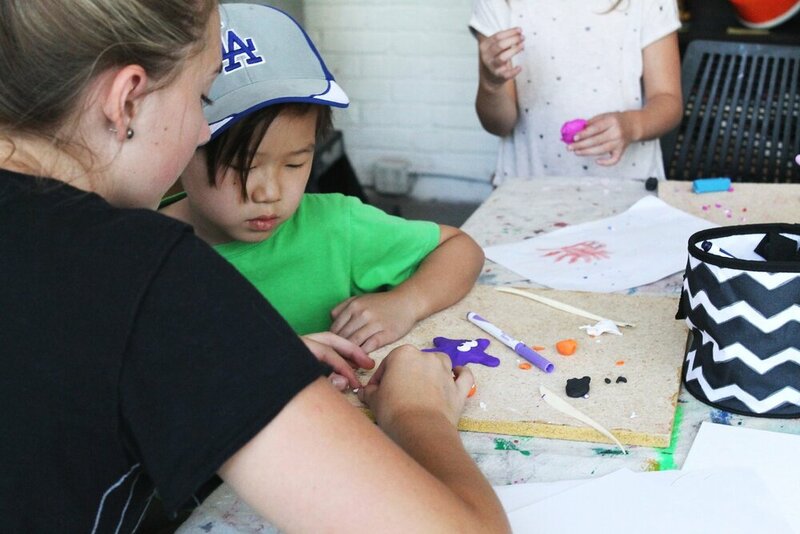 Pre-K Studio is a class offered for the valley's youngest artists. Thanks to donations and grants we are able to offer this class totally free with a suggested donation to cover the cost of supplies. Pre-K studio is held most Wednesdays during the school year from 10am - 12pm. Taught by Miss Liz Waters, Pre-K Studio explores many mediums and elements of art through new projects each week. As this is a drop-in style class, feel free to come for 10 minutes or for the entire time. Open to all Pre-K aged students with accompaniment of a guardian or parent. Registration is not required and you may arrive anytime during 10am - 12pm class. Pre-K Studio will run every Wednesday from September 12th - December 19th, 2018 except for the week of Thanksgiving on November 21st. Spring semester 2019 will run every Wednesday, January 9th - May 29th, except for the week of March 27th.